One of the key roles of the Avid Assistant to ingest media, at the right Avid Codec, into the Project. It's important that you understand how Avid uses Media and how it is stored. Leaving the idea of AMA and linking to source files to one side for now here we will be looking at how Avid stores media it actually creates through either Consolidation, Transcode, Import or even Digitising. Avid has been around for almost 30 years and has seen a number of formats come and go, but the 2 main formats that Avid has and still usee are listed below. Open Media Framework Interchange - OMFI - is now a legacy digital format that was introduced by Avid in the Mid 90's on its ABVB systems, when most media was ingested by digitizing from tape. This format is limited to PAL and NTSC ratios and sizes. For example in PAL, OMFI media can be stored as 4x3 or 16x9 Anamorphic with a frame size of 720x576. It does NOT support High Definition Formats. All current Avid editing systems can still play and capture media in this format, thought this is not it's default capture format. 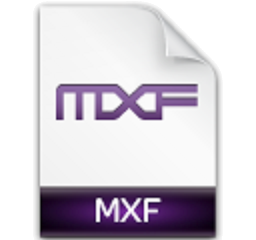 Media Exchange Format - MXF - was developed by SMPTE as a digital format that can handle all video and film formats (SD, HD, 2K 4K etc.) This was adopted by Avid when High Definition became adopted as a common format and is now the default file format type owing to its popularity. 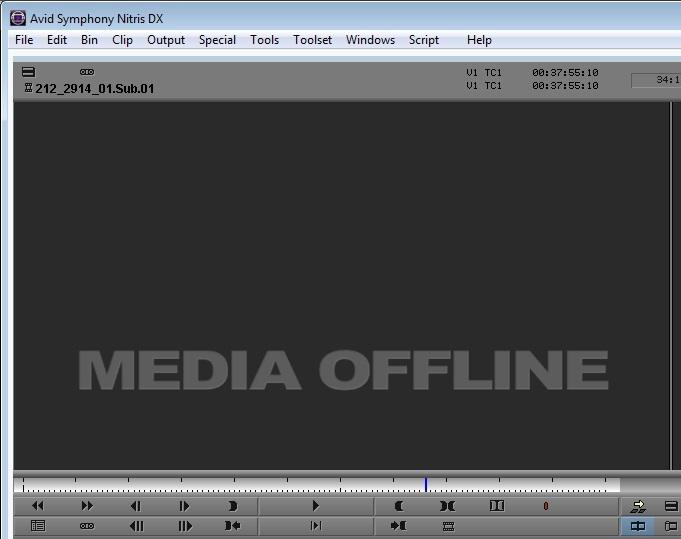 It is also worth noting that at the time of writing Avid creates MXF OPAtom files which basically means it creates separate files for video and audio. If a digital camera shoots something that is made up of video and a stereo audio track, the camera will more than likely store this in a form called OP-1a. meaning the camera combines the video and audio into a single file. When the Avid links to this file and it is then consolidated or transcoded into the system the audio is stripped out of the original file and the file reproduced as 3 individual files. Your Media Creation Settings dictate where content is created and in what default resolution, it is also here that you can change between MXF and OMF media types under the Media Type tab. It is very rare that you will need to do this and this can only be done when in a Standard Definition Projects or Formats. Remember that you only need to change this for capture and Avids will read content back without the need to change any settings. Avid stores it media in a very specific place on any drive that is nominated to store its video content. Let us use the storage of MXF as an example as this is the most common. At the root of the drive you choose to store media, the editing software will create a very particular folder structure. There are also 2 additional files (covered in another post) with the extension .mdb and .pmr which are database files that are used by the Avid software to keep track of the media files. The Avid software is no fussy about this folder structure that if you rename the Avid MediaFiles folder or MXf folder the system will lose track of the video content and display the infamous Media Offline. While the folder structure does appear clumsy it does have its advantages. 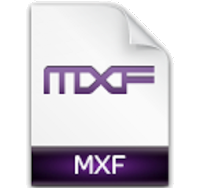 The numbered folders created within the MXF folder are incremental and are based on the number of files placed within them. Once folder 1 reaches around 5000 items the software will start another folder named 2 and so on. However, the name of these folders is not as strictly controlled as the folders above so this fact can be exploited to help track content more accurately and help manage your media in a more controlled manner. Media Composer will always try and write into the lowest numbered folder unless it is full. This means that all ingested material will be written into the 1 folder. Once this media has been ingested then we can rename the folder into something more meaningful. Let me clear this up with an example. We are working on a documentary and receiving content every other day and we ingest it into the project so it can be used 'natively' using the date of the cameras rushes to order the content within the Avid Projects on a folder and bin basis. While in the project I can minimize Media Composer and then rename the MXF sub-folder that is named 1 to 5 for example. Going back into Media Composer I can now link to the source files and consolidate (or transcode) the content knowing that it will go into the folder named 1 as this is currently missing and Avid will create it. Once I have ingested the days rushes I can now rename the folder named 1 to Inteviews1208. This now contains only the media I have just consolidated. I can now go back and ingest the next set of rushes will go into a newly created 1 folder and I can repeat the process. This is very manually driven process which means you will need great diligence in order to maintain the practice. However, this does mean that if you need to supply another suite with the rushes from 1404 you can simply find the folder and copy to a new drive with ease and not have to worry about consolidating media and taking up even more of your time. When working with suites this process also allows you to clearly see what media you have already transferred and what to still need to transfer.